Paul & Christian at CND Signs were very easy to work with. They gave us the best price & coordinated easily with our general contractor, who has since recommended CND to other clients. After our sign was installed, they met with us (during the day and in the evening) to make sure the sign and sign lighting was exactly how we wanted it. Good folks to work with! 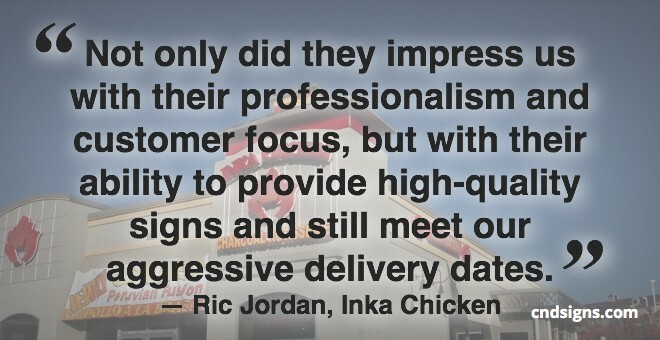 Christian with CND Signs and Printing did an excellent job at taking the time to understand what our business was about, coming up with a great design, and finally delivering our awesome Inka Chicken Sign. Not only did Christian and team impress us with their professionalism and customer focus, but with their ability to provide high-quality signs and still meet our aggressive delivery dates. 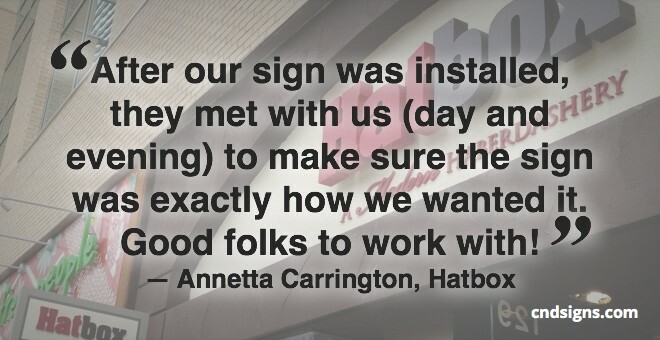 We will definitely be using their services again for our future signs. Christian you can count on us to be used as reference because we are extremely pleased with our signs and will highly recommend CND Signs and Printing to other companies. We are a brand new small business and got our sign through CND Signs. 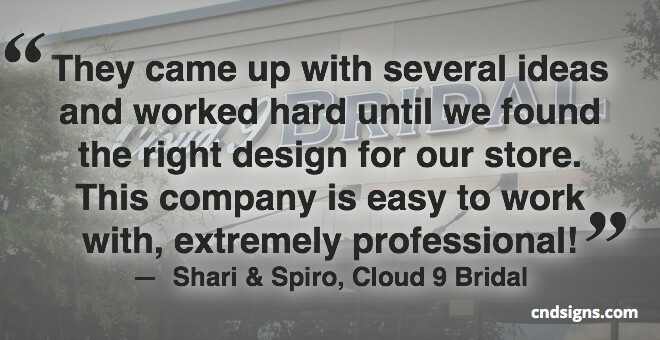 We were so pleased with the outcome and are so thankful we went with this company. 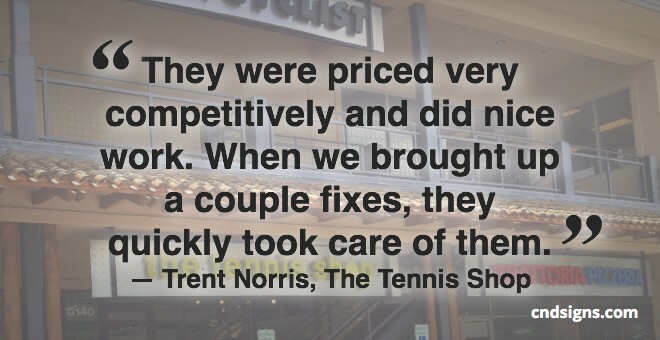 They were priced very competitively and did nice work. When we brought up a couple fixes, they quickly took care of them. I would recommend them for any business big or small! 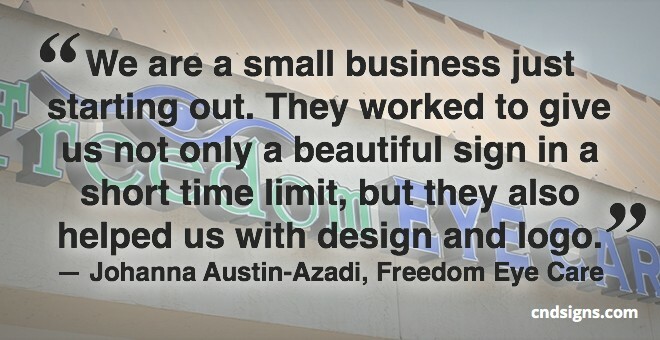 We are a small business just starting out, and Christian worked with us to give us not only a beautiful sign in a short time limit, but also helped us with design and logo development. He has been extremely helpful and accommodating throughout the entire process and has followed up with us to make sure all our needs have been met. We will use him in the future for any other signs and are currently working on our business cards with him. 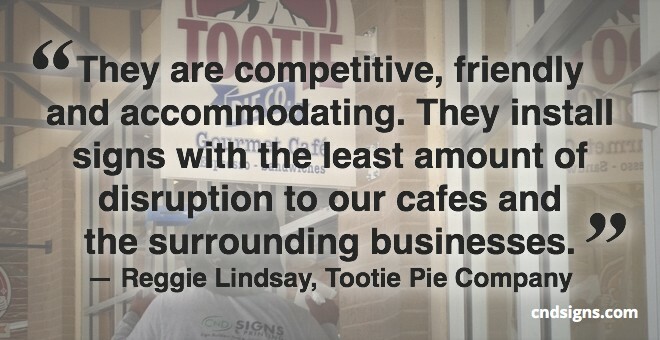 I also like that it’s a small, family owned and locally operated business. I highly recommend CND!